Through the large windows of Tanisha Woodson-Shelby’s bright yellow living room, she can see Precious Blood Catholic Church, where her father was baptized. Down the street is his old elementary school. And a few blocks to the north is the Rockwell Gardens public housing development where he grew up 40 years ago. 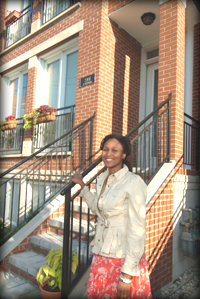 Woodson-Shelby liked the idea of moving into her father’s old Near West Side community. She sees it as a mark of progress to cycle back into the revitalized neighborhood from which her father worked his way out. As Chicago’s public housing buildings come down, new residential developments, in many cases condominiums, have risen in the communities surrounding them—often at staggering rates. 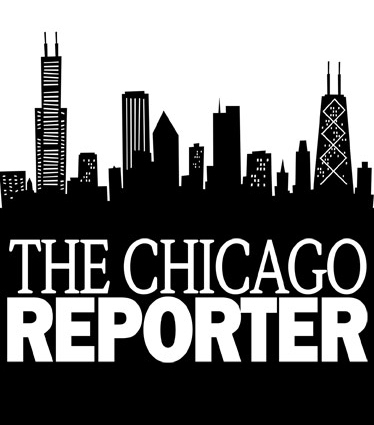 A Chicago Reporter analysis of home mortgage data shows that the housing market for areas near changing public housing developments grew nearly three times faster from 2000 to 2003 than the housing market for the rest of the city. Many of the new residents, such as Woodson-Shelby, echo the same sentiment: They wouldn’t have moved to these areas until they knew the CHA housing would be demolished. Three census tracts that include land immediately surrounding public housing developments in transition—one tract each near Rockwell Gardens, the Cabrini-Green Homes on the Near North Side and the Ida B. Wells development on the South Side—were among the city’s tracts with the highest increases in home mortgages from 2000 to 2003. The city’s largest increase in home mortgages during that time occurred in an area bordered by Division Street, Larrabee Street, Chicago Avenue and the Chicago River. That census tract, which sits across Division Street from Cabrini-Green, grew from two home mortgages in 2000 to 180 in 2003. However, the Cabrini-Green area continues to grapple with safety concerns. Many new residents, most of whom are white and middle-class, remain leery of their public housing neighbors, most of whom are black. And, while retailers have flocked to the Cabrini-Green area, commercial development continues to lag near other developments. Some residents complain that they can’t even find a grocery store nearby. In many of these areas, the housing surge began as the CHA was in the midst of its $1.5 billion plan to extensively reconstruct public housing—largely through tearing down high-rises and creating new mixed-income communities of town homes and low-rise buildings. These mixed-income communities are comprised of apartments for public housing residents, as well as town homes and condos for affordable- and market-rate buyers. When the CHA’s “Plan for Transformation” is complete, approximately 25,000 units will have been built or rehabbed. Some public housing tenants have been relocated to other CHA properties during the redevelopment. Others opted to use federal housing vouchers to help pay rent in private-market apartments throughout the city—although mostly in poor, predominantly black neighborhoods, the Reporter found. Public housing residents returning to the new developments must meet guidelines such as finding work and passing background checks. New homeowners near changing public housing developments say they’ve moved there to be close to the Loop or other established areas and because the areas offered good opportunities to buy early when the prices were low. Many realized that these neighborhoods would improve, as would property values, once nearby public housing high-rises were torn down. Woodson-Shelby, an administrator for a nonprofit organization, said she likes her location three miles west of downtown, a few blocks from the Blue Line train and the Eisenhower Expressway. The neighborhood also offers the diversity she was looking for when she moved from the East Ukrainian Village area. Her neighbors have included a single Mexican American man, a biracial couple with a baby and a white college student. Down her block, a Puerto Rican flag waves in front of an older home. The housing market in Woodson-Shelby’s neighborhood grew from 26 mortgages in 2000 to 80 in 2003. But virtually no one was interested in the area a decade earlier. There were just three mortgages in her census tract in 1993. In June, José Vasquez, a 32-year-old Latino police officer, bought a condo in the 2500 block of West Harrison Street, a few blocks from the three standing Rockwell Gardens buildings. Five buildings have been demolished. He said the demolition of public housing and the area’s increased safety affected his decision to buy in the area. “Making narcotics arrests were a lot easier back then—five years ago. You had a lot of [drug] activity,” said Vasquez. Plans to demolish Cabrini-Green encouraged Mike Boehmer, 21, to move from Lincoln Park to his Division Street condo in May. Boehmer, who is white and rents the condo from a friend, said the new building and cheaper rent also drew him to the location in the 600 block of West Division Street, which sits across the street from Cabrini-Green high-rises. Boehmer said the area has improved, even in recent months. The CHA has delayed the demolition of Cabrini-Green several times. But, by the end of 2005, seven of the development’s 23 multi-story buildings will be torn down, said Kim Johnson, the CHA’s assistant press secretary. Once home to 15,000 residents, the CHA now estimates 4,700 people live in Cabrini-Green. But, even with just a third of its residents, the high-rises still dominate the area. Five years ago, Janice Wong would have never moved her family so close to Cabrini-Green, she said. But she also realized the location could offer them a good price and the opportunity to purchase two homes, side by side—one for her; her 50-year-old husband, Jan; 16-year-old son, Kyle; and 21-year-old son, Derek; and the other for her 85-year-old mother-in-law, Eunice. In 2004, the Chinese American family moved into their homes in the 1100 block of North Frontier Street, a part of the Old Town Village West development. Although the Wongs have seen the value of their homes skyrocket—doubling in the past five years—family members feel safety is still a major issue. They say they’ve seen people try to break into their garage and enter their gated property, walking around their home, looking inside. The men left when his calls for help alerted a young boy who also began yelling for help, drawing attention to the scene on the doorstep, Derek Wong said. Statistics show that most crimes in the Cabrini-Green area, including burglaries and robberies, have declined since 1999. But murders increased from three in 1999 to six in 2004. Fears are not only held by residents new to the area. Mary Austin, a 61-year-old nurse raising her three grandsons, ages 11, 14 and 17, lived in a Cabrini-Green high-rise for several years before the CHA moved the family in August 2004 to an apartment in Old Town Village West. Still, Austin worries about her grandsons. Photos of Austin’s grandsons, as well as their basketball and baseball trophies, are scattered throughout the living room of her new beige-walled, three-bedroom apartment. It’s quite a change from her old two-bedroom unit at 365 W. Oak St., where the walls were made of bricks. In the new place, “you don’t feel so closed in,” Austin said. Austin said she likes her new home in the 1100 block of North Howe Street and feels Old Town Village West—where one-fifth of the 126 units are reserved for CHA residents—with its mix of residents from different racial and economic backgrounds is working out. “I feel like I have just as much right as the next person to live decent, to have a nice surrounding for my kids and my grandkids. So being around –˜whitey,’ as people say, I don’t have any problems with it,” she said. But, as a community, Old Town Village West and Cabrini-Green have not mixed very well. The racial and economic differences are hard to miss when looking down Division Street. On the north side, residents, almost entirely African Americans, live in 15-story buildings with boarded-up windows and rusted, chipped walls. On hot summer days, the north side of the street is alive, even at night. Residents gather, talk and listen to music on the sidewalks and yellowed grass outside their buildings, fanning themselves to keep cool. On the south side, rows of three-story, crisp red brick homes fill the block. Things are pretty quiet. Residents, most of whom are white, stay indoors and turn on their air conditioners, rarely sitting outside or gathering in their neighborhood’s small park. Carrie Richardson has been pleased with the safety of the neighborhood near Rockwell Gardens since her family moved into a condo in the 2500 block of West Harrison Street in April. Richardson is renting her condo, but plans to buy it for about $250,000 when her one-year lease expires. “I asked to rent because I wasn’t too sure about the neighborhood. I just didn’t want to get stuck somewhere,” she said. Richardson moved from the South Side’s Archer Heights neighborhood, where she was afraid to let her kids play outside because of gun violence, she said. In the new neighborhood, which Richardson says is “only going to get better,” she lets her kids play on the patio and feels comfortable taking them to a nearby park. The only safety issue Richardson said she has faced is with the homeless people who frequent a nearby soup kitchen and are drawn to vacant lots and abandoned properties that still dot many of the blocks. But, she noted, the lots won’t be vacant for long. “For every vacant lot we have on this block, for every run-down property, there is a West Village [Homes] sign in front of it. So there is hope,” she said. But Richardson also hopes to see more stores, especially a grocery store, open in the Near West Side neighborhood. “I’ve only seen them build condos. We do need a store that you can walk to,” she said. But some new businesses have opened near Western Avenue, such as a fitness center and a coffee shop, and more are on the way, said Joe Bosco, a broker for Central City Realty and Management, which sells and manages condos and apartment buildings in the area. While the neighborhood surrounding Cabrini-Green features a Starbucks, a large Dominick’s store and other businesses, new residents near Rockwell Gardens and Ida B. Wells are starving for commercial development near their homes. Joseph Schwieterman, a professor of public service management and director of the Chaddick Institute for Metropolitan Development at DePaul University, said businesses are hesitant to open in areas that are perceived to be unsafe—and that race is a factor. “There’s an element of subtle racism involved, where investors shy away from neighborhoods that have a strong racial identity [or] minority presence,” Schwieterman said. Unlike other big cities, Chicago has struggled with integrating neighborhoods and ethnic communities, Schwieterman noted. This “de facto segregation,” as he described, may be part of the reason why businesses appear hesitant to move into areas like Wells. Schwieterman said the Wells area is still transitioning from a “distressed” neighborhood to an improved one. While there is renewed interest in the predominantly black community, most of the newcomers are also African American. He said he believes retailers eventually will regain confidence in the area—and ultimately open stores there—once the influx of homeowners is established. But this area could use a grocery store right now. Area resident Ella Wilcoxon must walk several blocks just to buy milk or a loaf of bread. The 70-year-old is arthritic and uses a walking stick. A mother of 10, Wilcoxon often waits for one of her children to take her to a grocery store or pharmacy. Wilcoxon moved to the 700 block of East Bowen Avenue four years ago, after the CHA cleared the Robert Taylor Homes high-rise where she had lived for 37 years. The building has since been demolished. Before the CHA announced its plans to demolish Wells, there was little residential growth in the area. In 1993, there was only one home mortgage in Calvin’s census tract; in 2003, there were 42. Today, more than one-third of the 769 housing units in Wells have been closed.